Deborah “Debbie” Ann Schaefer, 54, of Marshalltown, Iowa, passed away at home on August 2, 2018. A Celebration of Life gathering will be held at the Mitchell Family Funeral Home on Saturday, August 11, 2018 from 3:00 – 6:00 p.m. with a prayer service at 3:30 p.m. Memorial contributions may be directed toward the family to be designated at a later date. For further information or to send a condolence please visit: www.mitchellfh.com or call 641-844-1234. Mitchell Family Funeral Home is caring for Debbie and her family. Deborah Ann Magsamen was born on October 17, 1963 in Waterloo, Iowa to Francis Louis Magsamen and Carol Louise (Van Besien) Powell. 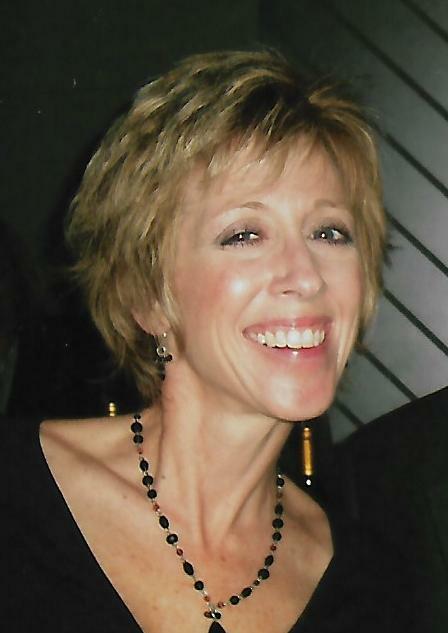 Debbie went to school in Waterloo and graduated from Columbus High School in 1982. She then went on to cosmetology school at the Pitzes School of Beauty, graduating in 1984. On September 3, 1983 Debbie married Kevin Robert Schaefer in Waterloo, Iowa. Debbie was employed at Emerson for the past 5 years and was a member of St. Henry Catholic Church and Elmwood Country Club. Debbie’s family was most important to her, she cherished every moment spent with them. She enjoyed her dog Gus, going for walks, the outdoors, traveling, gardening (vegetable and flower), and golfing. Left to cherish Debbie’s memory is her husband Kevin Schaefer; children: Andy (Tara) Schaefer of Des Moines, IA, Gretchan Schaefer (Alex Wrasse) of Garwin, IA, and Tom Schaefer (Tiffiny Maxwell) of Albion, IA. She is also survived by her brother, Jeff (Traci) Magsamen of Janesville, IA; mother-in-law Sue Schaefer of Hudson, IA; her parents Francis (Carolana) Magsamen of Waterloo, IA and Carol Powell of Prairie du chien, WI. In death, Debbie rejoins father-in-law Robert Schaefer; stepfather James Powell; grandparents, Robert and Margaret Van Besien and Jerome and Theresa Magsamen.